Elections and Boundaries told The San Pedro Sun that they were aware of the complaints from Caye Caulker that they needed more time to re-register. We were told that they are planning to do a second round of re-registration in Caye Caulker. However, a date is yet to be set. Caye Caulker residents claim that Elections and Boundaries were clearly unprepared for the re-registration exercise on La Isla Cariñosa, as it was difficult to register all eligible residents in just one week. “Our island is growing, thus, the Government needs to take that into consideration and give us an extension,” said one resident. Other complaints stated that the vetting officers turned away electors, or left the registration centre before closing time, leaving hundreds of islanders waiting in line. It is believed that only about half of the voting population managed to re-register in Caye Caulker during that week. Many on the island hope that it is not a deliberate act to have the least electors from Caye Caulker registered amid the allegations that they are strong supporters of the Opposition, the People’s United Party. Area Representative and Minister of Tourism and Civil Aviation Honourable Manuel Heredia Jr. congratulated the efforts made by the many Hicaqueños that re-registered. In response to the petition for an extension, Heredia stated, ‘Elections and Boundaries officers are committed to continuing the process very soon so that those who have not yet had the time or opportunity to re-register will be able to do so,’ he said via a post on social media. The residents of La Isla Cariñosa claim that if an extension is not granted they plan to sue Elections and Boundaries. In the meantime, the process has been ongoing in other parts of the country, including on Ambergris Caye, without any incident. On Ambergris Caye, the San Pedro Roman Catholic School is the assigned registration centre open Monday to Friday from 9AM to 7PM and on Saturdays from 9AM to 4PM. Elections and Boundaries reminds the public that applications for registration as an elector will be accepted at any of the registration centres in their respective electoral division. 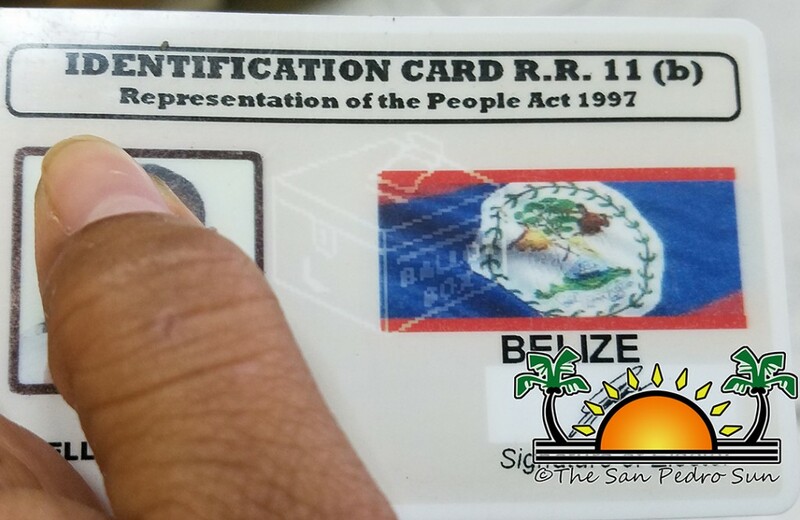 Documents required to register include a Belizean birth certificate and a photo ID (Social Security card), or photograph certified, stamped, and signed by a Justice of the Peace (JP), or valid Belizean passport. Commonwealth passports and naturalization certificates are also be accepted. 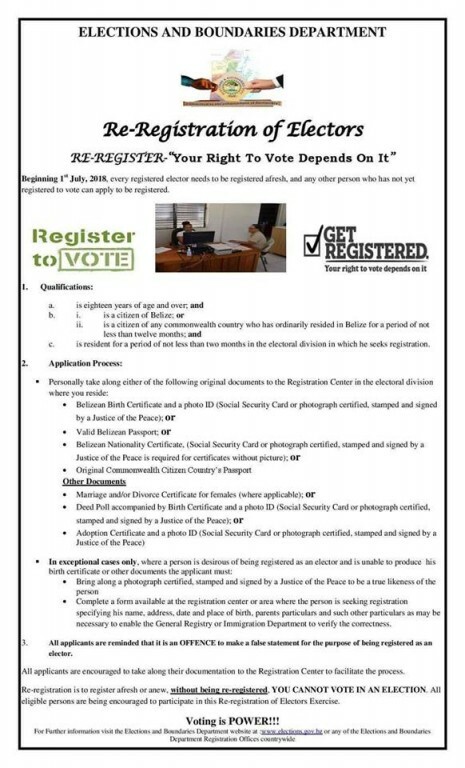 If the document has no picture, bring along a photograph certified, and signed by a JP.